When Miss V brought me her collection of fabrics, she was not crazy about this black polyester crepe with the tiny pink roses. But a dress needed to be made up from it, since it was a special gift from a shop owner “back home”. I originally thought, since she had no intention of wearing the garment, of making up Vogue 1351 by DKNY. 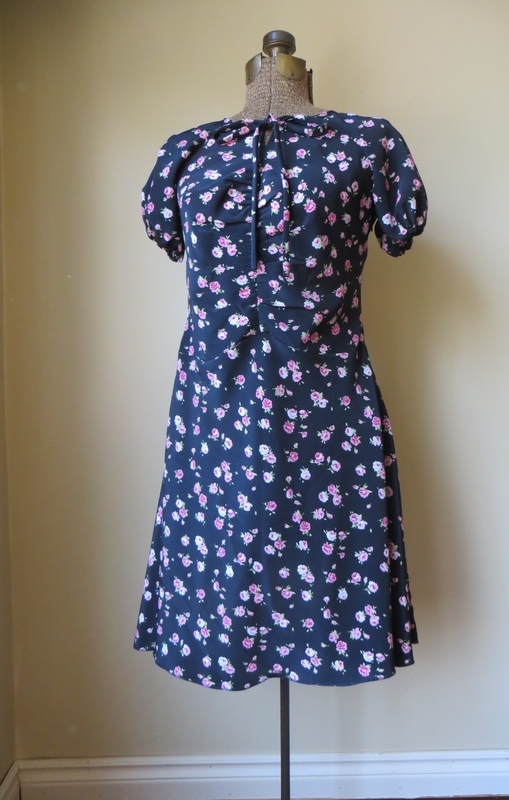 I’ve been wanting to make the dress for myself, but that would have required an FBA to the lining and I was too lazy over the summer to try, and Miss V doesn’t require any FBA. Perfect opportunity to make the dress, thought I. But as I was working on the various pieces of Miss V’s wardrobe, fabric spread out everywhere, DD3 saw the black with pink and immediately latched onto it. She loved it. So, with permission, I changed direction and made up this number that caught my eye back in Burda’s March 2013 issue (model #113). DD3 thought it would be perfect, so I started sewing. The dress is completely unlined. I wasn’t motivated to put in a lot of work for this garment. What can I say? Some fabrics kill all motivation for excellence just by existing. All the seams are straight-stitched with a serged finish, and I actually did a rolled hem with my overlocker. It’s about as RTW a garment as I’ve ever made. 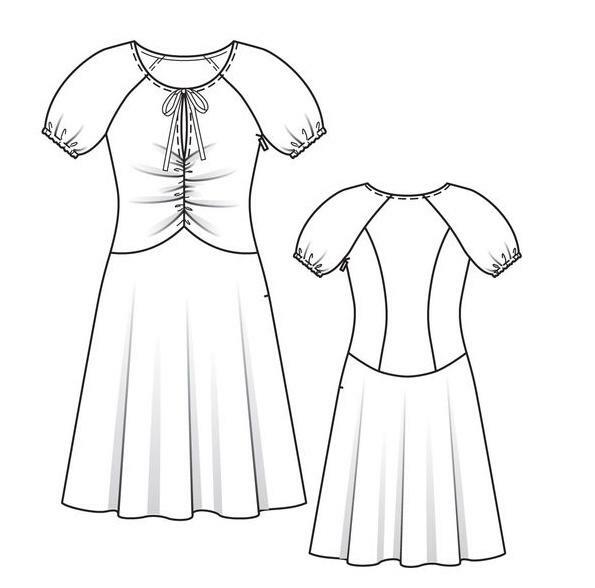 I shorted the bodice – “petited” it, if you will – by folding out 2cm of length at the high bust and waist levels. And I raised the CF slit by about 3 inches because it was ridiculously low – like let’s-show-everything low. 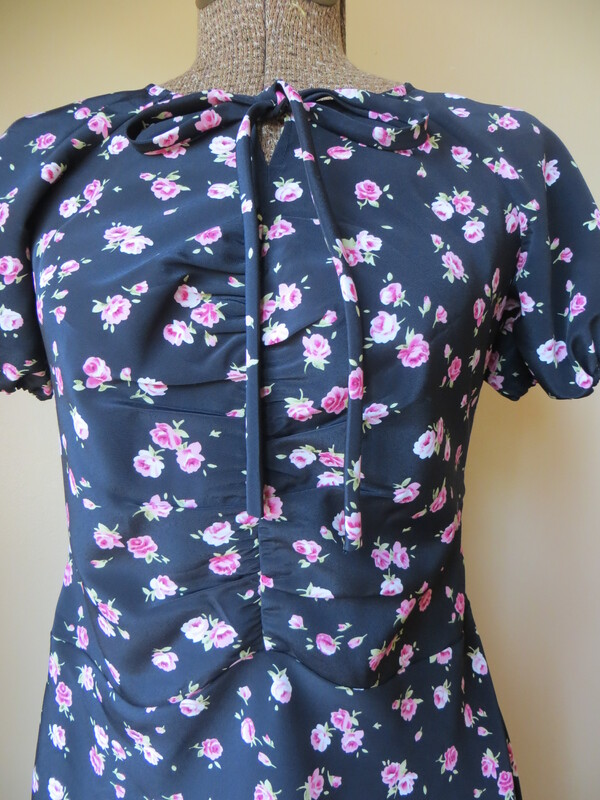 The bodice front is almost cut on the true bias – not quite – which is great for skimming over the body, and wasn’t too much of a pain to sew in this poly crepe. The CF gathers pull the CF into an inverted V, which poufs a bit over the lower abdomen, as seen above. But in this dark fabric, it’s not noticeable while being worn. The skirt is cut almost like a full circle skirt. 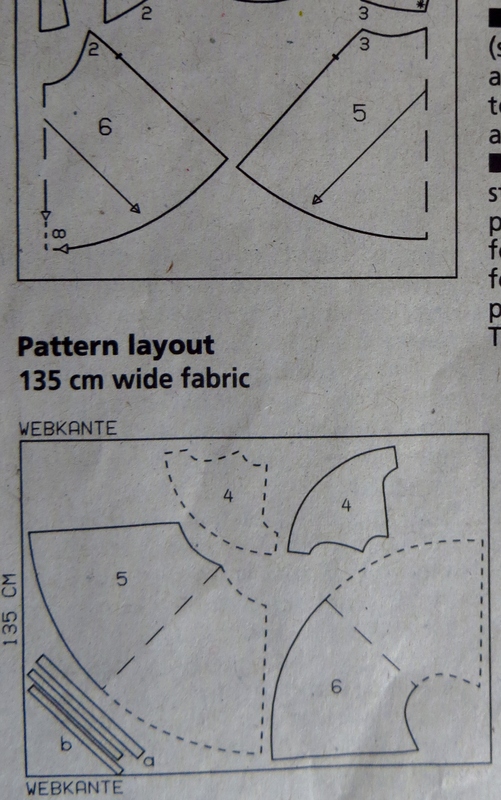 Took me a bit of looking at the pattern pieces to figure that out because of the odd way Burda suggests cutting them: on the folded bias. When tracing the pieces the grain lines run parallel to the side seams, which is confusing until you see the layout diagram. *lightbulb* The skirt has been shortened by about 4 inches to keep it looking youthful and modern on DD3. She wore it yesterday and loved it. It’s a pretty pattern, and I hope to give it another incarnation soon. The other Burda piece in Miss V’s wardrobe was this lace shirt from the same issu e (March 2013 # 116). 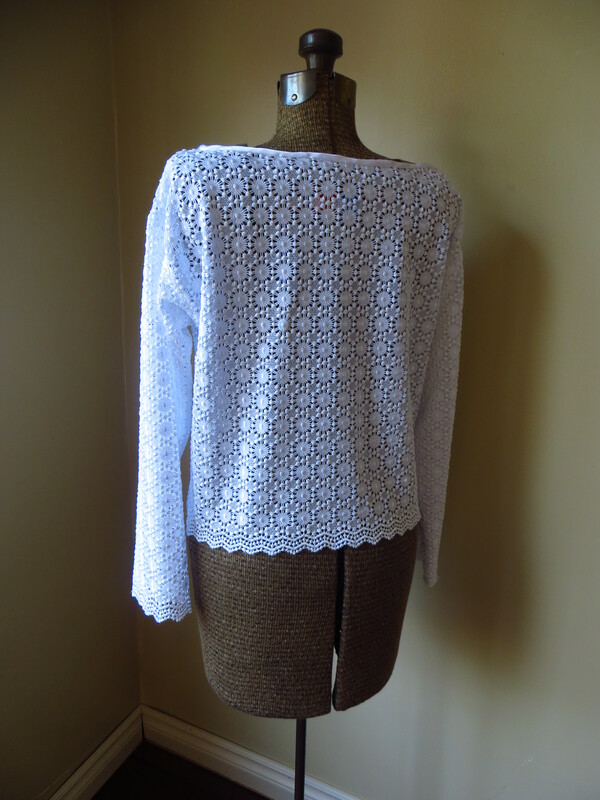 It’s a plain basic boxy shapeless shirt, but the poly lace I found is heavy enough that it drapes nicely. And just so you know, the front is on the left, back is on the right in the photos above. Yup. Lots of shape and definition here! The purpose of this garment: a covering in cooler (freezing) air-conditioned buildings. Apparently if you’ve got A/C, then you crank it up so it feels like an Arctic experience! All the seams are bound in poly satin. 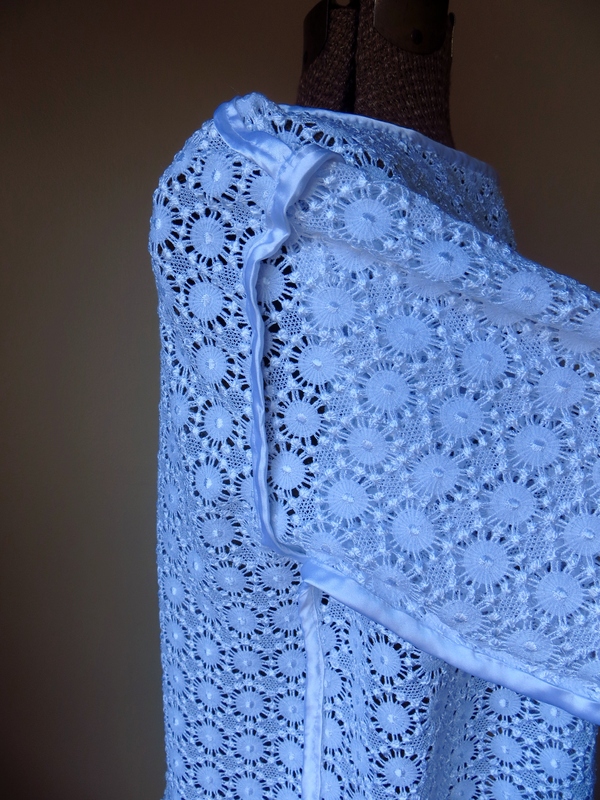 The lace was lovely and soft to work with, but that poly stretch satin fabric was a a PITA for making bias strips. I don’t think I’ve sewn so much polyester anything in years as I’ve done for these two projects. If I don’t sew any again for another decade, I’ll not miss it. BTW, the March 2013 issue of Burda is winning the Burda Challenge so far this year. It’s amazing how one or two issues will be full of gems that get made and others languish for years untouched. Still sewing like a fiend! I’ve got some Kmher batik and a sari to turn into garments before the end of the week before Miss V leaves! I love the dress, the fabric is so nice! Love that dress! The print is so cute. I bet they’ll both look great worn!! Yeah, I hear ya – poly is great for affordability and washability, but for sewing purposes it absolutely STINKS. I despise trying to press seams and forget about making bias tape… ugh 😦 Personally, I don’t care if I’m called a fabric snob… I avoid it like the plague!! LOL. 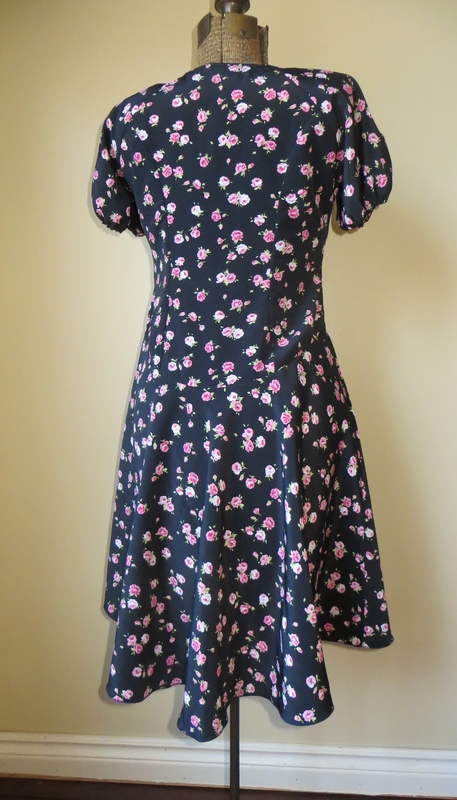 That dress is so cute-perfect for the floral print crepe. 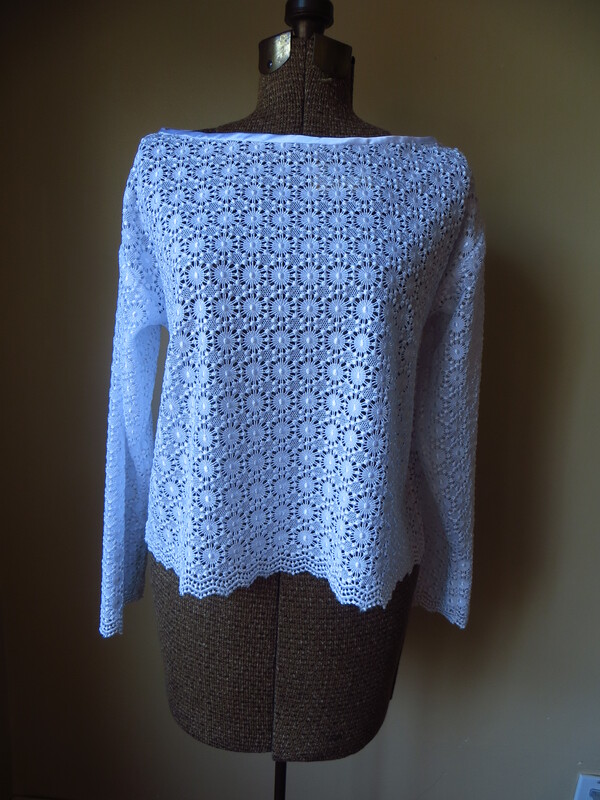 I also love that boxy lace top-I would snag that in a heartbeat. I love the rouching and poufy sleeves of this dress! It really adds to the design and the fabric is a great choice!